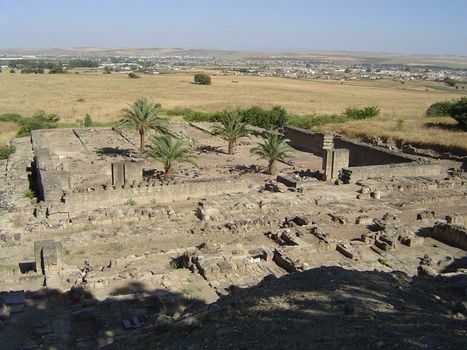 The Medina Azahara--originally the Medina al-Zahra--was begun as the new capital of al-Andalous in 929, the year Abdel Rahman III declared himself caliph. A rectangle measuring about 750 by 1,500 meters, it was ready for occupance in 946 but did not become the capital until 981. 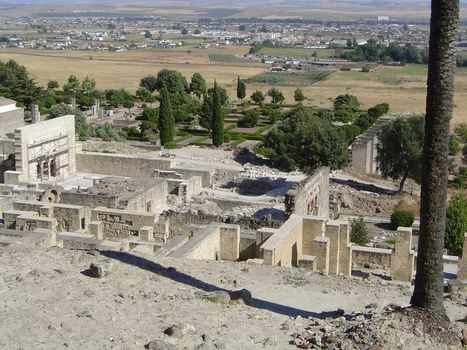 A mere 25 years later, in 1004, a Berber revolt destroyed it so completely that until the 19th century the ruins remained a mystery. Archaeological work began in 1911, but the site is still 90% buried. 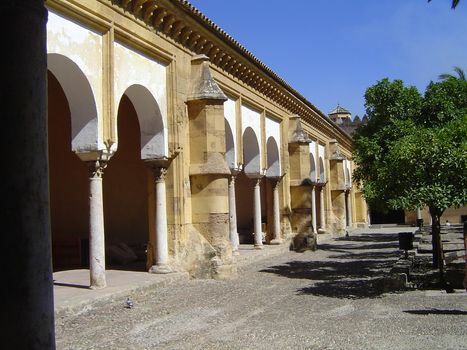 Ironically, the much flimsier Alhambra at Granada remains intact, thanks to protection by later kings. Residents were paid a bounty if they built a house in the new city, which grew quickly. Its name means City of the Flower but comes from a prized concubine of that name. That's Cordoba in the background. 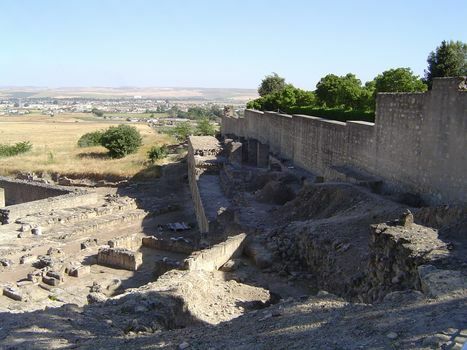 An elaborate system of canals, aqueducts, and tunnels brought water about 10 miles to the site. The vestibule to an audience chamber is the one building on the site that evokes the city as it was. The ceiling is modern, though the original was of arbor vitae from North Africa, a very longlasting timber in this climate. Just not this longlived. 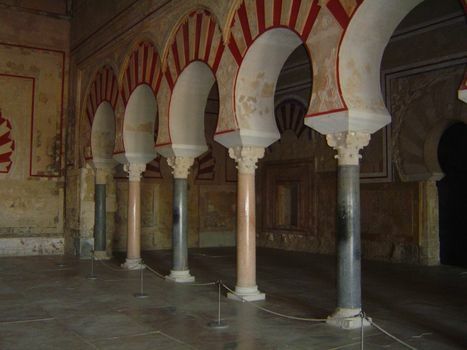 Two arcades divide the room into three sections. 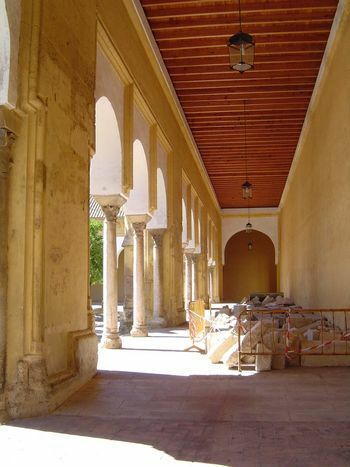 The columns were presumably recycled from Roman remains. 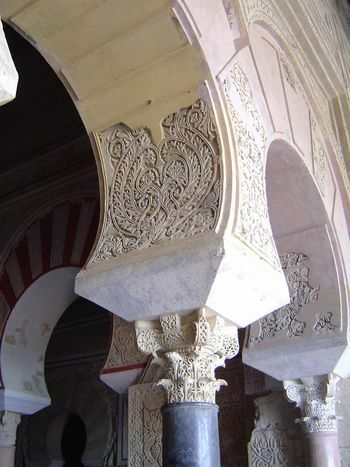 The arches rest on a distinctive capital. 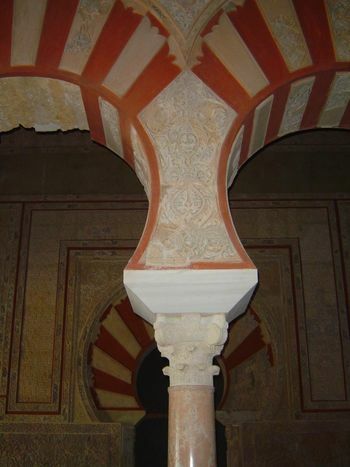 The sculpted wall panels above are called atauriques . 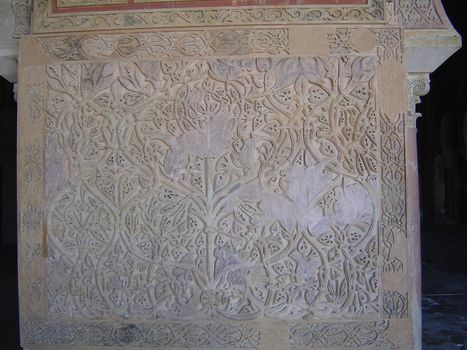 Another ataurique, here showing the tree of life. 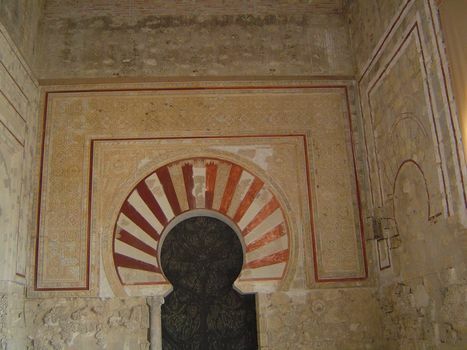 The head of the hall echoes the mihrab of the mosque in Cordoba, right down to the framing alfiz. The building at the left deviates from the rest of the city, which faced south. That's because it was the mosque and faced southeast, toward Mecca.